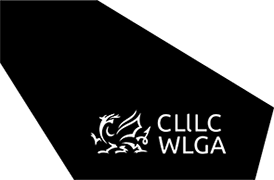 The Executive Board comprises the twenty two Leaders of each Welsh local authority together with one joint representative from each of the associate member bodies (non voting). The Executive Board is the main policy and deliberative forum of the Association that seeks to deal with issues at an all Wales level. The Coordinating Committee reports to the Council. In March 2017 the WLGA Council agreed to a change in the Constitution of the WLGA which resulted in the former WLGA Coordinating Committee being reconstituted as the WLGA Executive Board. For meetings of the WLGA Coordinating Committee, please access the links opposite. In the absence of the Chair of National Parks Wales, the location of the meeting will determine which member will represent the three National Park Authorities. The location of the meeting will determine which member will represent the three Fire and Rescue Authorities.